Crystal Palace manager Alan Pardew has dismissed suggestions that the club are looking to sign Chelsea defender Branislav Ivanovic in the January transfer window. Ivanovic has been unable to get into the Chelsea team under Antonio Conte. He has gone from being one of the important players into a marginal squad player in the last couple of weeks. Ivanovic was a regular during the days of Jose Mourinho, but he was highly criticised for his poor performances last season. He has played only three minutes of football since Antonio Conte switched to the 3-4-3 formation. It is clear that Conte does not see the Serbian as a player who can make a significant impact in this formation. 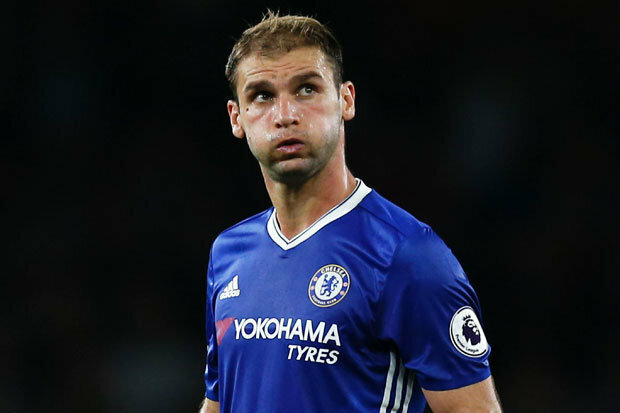 Capable of playing at right back or in central defence, Ivanovic’s performances have suffered in the last 12 months largely because of low confidence. He still remains a great player who has won the Champions League and numerous Premier League titles with Chelsea. Even though he is 32 years of age, he can still be of importance for the next couple of years. It seems to have been the basis behind the links with Crystal Palace, but Alan Pardew has dismissed any possibility of the same. Despite spending a club record fee on Christian Benteke, Crystal Palace languish near the relegation zone after just three wins in 11 matches. "No interest at all. That's one of your stories," said Pardew when asked about the possibility of signing the 32-year-old. Even if Crystal Palace do not come in with a bid, it is looking highly likely that the former Lokomotiv Moscow defender may leave the club on a free transfer in the summer. His contract expires in the summer and there has been no interest from Chelsea towards renewing the contract. He is open to discussions with foreign clubs from January.